The image below explains what ingredients you’ll need to make this delicious naturally immune-boosting anti-viral tonic, as well as some of the healing properties they contain. 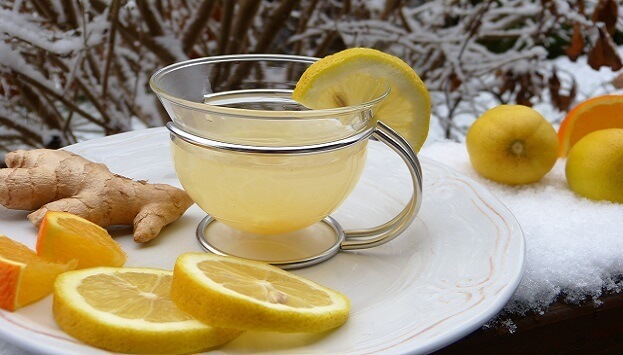 There are a number of different versions of this immune-boosting tonic – some claiming to date back thousands of years, such as the “4 Thieves” version. This one is a bit less spicy (depending on the amount of pepper you use – and it doesn’t have horseradish), but the main reason I love it so much is because it is served HOT! Not only does it have lots of healthy properties that may boost your immunity and help you kick off any cold and flu germs that may be trying to take hold, but it’s also yummy and so warm and comforting on a cold winter day – especially when you’re not feeling well! Sometimes when you read about natural remedies like this, you may wonder, “why is that in there?” or “what does that ingredient do?” This handy graphic explains why this anti-viral tonic is so effective – and what benefits each ingredient contributes to the mix. You can find the full recipe at GreenSmoothieGirl.com. Is This the Healthiest Beverage In the World? Are These 3 Hormonal Imbalances Secretly Harming Your Health? The Natural Antibiotic Superfood You Must Have In Your Pantry This Winter!